Welcome to Congregation Shearith Israel, America’s first Jewish congregation, founded in 1654 by 23 Jews of Spanish and Portuguese descent. Today, Jews of all backgrounds make up our welcoming, traditional community. Explore this site, and then visit the synagogue to experience the beauty and vitality of this Jewish and American treasure. 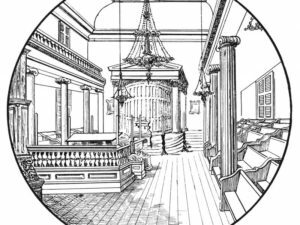 Congregation Shearith Israel, the Spanish and Portuguese Synagogue in the City of New York, was founded in 1654, the first Jewish congregation to be established in North America. Its founders were twenty-three Jews, mostly of Spanish and Portuguese origin, who had been living in Recife, Brazil. When the Portuguese defeated the Dutch for control of Recife, and brought with them the Inquisition, the Jews of that area left. Some returned to Amsterdam, where they had originated. Others went to places in the Caribbean such as St. Thomas, Jamaica, Surinam and Curacao, where they founded sister Sephardic congregations. One group of twenty-three Jews, after a series of unexpected events, landed in New Amsterdam. 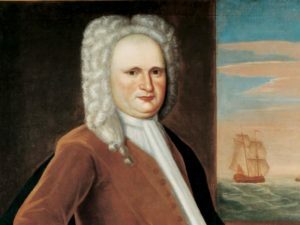 They were not welcomed by Governor Peter Stuyvesant, who did not wish to permit Jews to settle there. However, these pioneers fought for their rights and won permission to remain. During colonial days, the Jewish community was relatively small. Even from its earliest days, Shearith Israel had Sephardic and Ashkenazi members. Although the synagogue service follows the custom of Spanish and Portuguese Jews, the membership is diverse, and at present is composed of both Sephardim and Ashkenazim who work together in harmony for the well-being of the Congregation and community. Until the year 1730, the Congregation met in rented quarters. 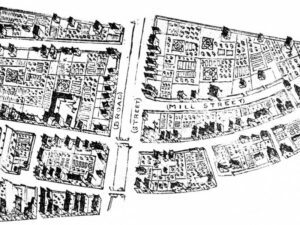 In 1730, Shearith Israel consecrated its first synagogue building on Mill Street, now known as South William Street. Many of the furnishings of that building are preserved in our Little Synagogue. Shearith Israel was the only Jewish Congregation in New York City from 1654 until 1825. 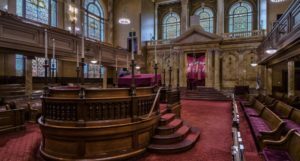 During that entire span of history, all of the Jews of New York belonged to this Congregation, which provided for all the needs of the Jewish Community, from birth to death. It offered education in both religious and general subjects, provided kosher meat and Passover provisions, and performed a wide variety of charitable and other functions for the Jewish people. As the Jewish community rapidly grew during the latter 19th and early 20th centuries, Shearith Israel and its members were involved in important communal enterprises. The Sisterhood operated settlement houses on the Lower East Side, to provide for the needs of the newly arriving Sephardic immigrants. Shearith Israel and its members were actively involved in the New York Kehillah movement, the Hebrew Immigrant Aid Society, Federation of Jewish Philanthropies, United Jewish Appeal and other communal charity societies. With the establishment of a public school system in New York, Shearith Israel operated a religious school for children, endowed in 1802 by a bequest from Meyer Polonies. This school—still bearing the Polonies name—continues to provide supplementary Jewish education to children of the community to this day. Shearith Israel’s Rabbi Dr. Henry Pereira Mendes—who served the Congregation from 1877 until his death is 1937—was founder and first President of the Union of Orthodox Jewish Congregations of America. Dr. Mendes, together with Rabbi Sabato Morais of Congregation Mikveh Israel in Philadelphia, were co-founders of the Jewish Theological Seminary of America, which they envisioned as a place to train American Orthodox rabbis. Dr. Mendes was involved in the founding of the New York Board of Jewish Ministers (now known as the New York Board of Rabbis), the Lexington School for the Deaf, and Montefiore Hospital. Shearith Israel’s Rabbi Dr. David de Sola Pool—who served Shearith Israel for the period spanning 1907 until his death in 1970—was actively involved in work on behalf of newly arriving Sephardic immigrants during the first decades of the 20th century. In 1928, he founded the Union of Sephardic Congregations, under whose auspices he prepared and published Sephardic prayer books with his own elegant English translation. Dr. Pool and his wife Tamar were leaders in the Young Judea Youth Movement of Hadassah. Dr. Pool was an important figure in the Joint Distribution Committee, the Jewish Welfare Board, the New York Board of Rabbis, the American Jewish Historical Society and more. He served as editor and translator of the Ashkenazic prayer book published by the Rabbinical Council of America. Members of Shearith Israel were actively involved in the founding of such institutions as the New York Stock Exchange, the Mt. Sinai Hospital (originally named Jews’ Hospital), the 92nd Street Y, the American Sephardi Federation, Sephardic House, and the Institute for Jewish Ideas and Ideals. They have been leaders on the Boards of Yeshiva University, the American Jewish Committee, the New-York Historical Society, the Metropolitan Opera, the Orchestra of St. Luke’s, and so many other educational, philanthropic and cultural institutions.